Petar Panic, also known as “Pana,” is a one-eyed Serbian mobster with a rich criminal history and friends in the right places. Panic once served as a bodyguard for Vojislav Seselj, the leader of the ultra-nationalist Serbian Radical Party, who was recently convicted by the International Criminal Tribunal for the former Yugoslavia (ICTY) for crimes against humanity. 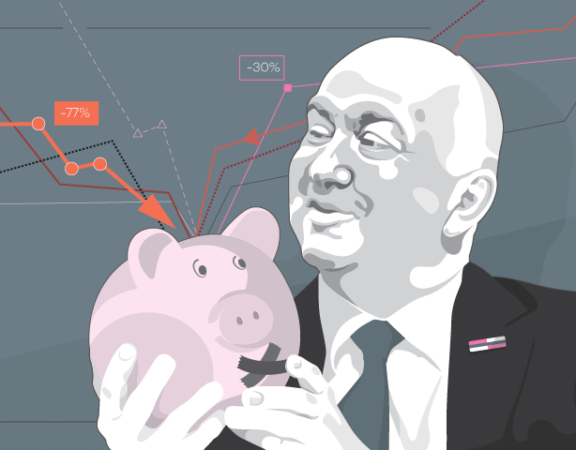 A new investigation by KRIK, a partner of the Organized Crime and Corruption Reporting Project (OCCRP) shows the extent of Panic’s ties to Serbia’s powerful and controversial Minister of Health, Zlatibor Loncar. It also reveals Panic’s connections to the murderous Zemun Clan, one of the most powerful groups within the Serbian mafia. According to police records, Panic was charged for 16 crimes during the 1990s and early 2000s, ranging from multiple assaults to illegal possession of a weapon to causing traffic accidents. Details are seldom available on older cases like these because records are regularly purged. However, reporters were able to track down information about two court cases in which Panic was tried for assault. It is these cases that demonstrate his connections to Loncar. They show that Panic obtained questionable medical reports from the health minister — then a doctor in a Belgrade hospital — which his lawyer used to justify his failure to appear in court. These absences led to hearings being postponed. Subsequently, charges were dropped in one of the cases because the statute of limitations had expired. The method of delaying court cases until they must be dropped is a common tactic used by organized crime figures to avoid charges, criminologist Bogoljub Milosavljevic told KRIK. In the second assault case, Panic was convicted. The credibility of the four medical reports authored by Loncar are questionable. In one of the reports, Loncar wrote that Panic was in such poor health that he was unable to leave his house. However, during this time, Panic was traveling and even the police could not locate him. In a second report, Loncar claimed that Panic was still recovering from a surgery that had been performed over a year earlier. 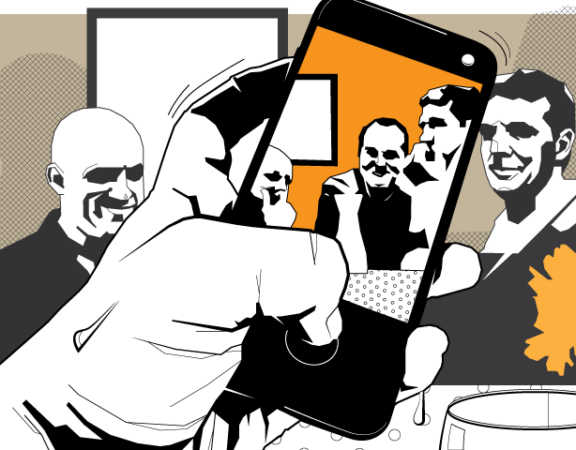 Loncar’s connection to Panic lends further credence to earlier testimonies that pointed to the health minister’s involvement with the Zemun Clan. In 2014, Loncar was appointed to the position of health minister by then-Prime Minister Aleksandar Vucic, despite testimony by Zemun Clan members that Loncar was in the gang’s employ and had, while working in a hospital, murdered a rival mobster who had survived an assassination attempt. Meanwhile, Panic’s Facebook posts suggest that Loncar is far from the only Serbian politician he’s befriended. According to a series of photos, his old friends include President Aleksandar Vucic, Minister of Police Nebojsa Stefanovic, and other prominent former members of Seselj’s Radical party. Today they are members of the Serbian Progressive Party, which has been the country’s ruling party since winning the 2012 elections. Contacted by reporters, Panic refused to comment for this story. One of the cases which connects Panic with Loncar involved a court hearing which has become infamous in Serbia. It is publicly known as the “banana peel” case. It began in 1997, when Seselj, the nationalist party leader for whom Panic was working as a bodyguard, appeared on a talk show with a lawyer named Nikola Barovic. During the program, Seselj and Barovic got into a heated argument and the broadcast was halted. Shortly afterwards, according to the verdict, Panic came to the TV station on Seselj’s orders and attacked Barovic, kicking him and hitting him in the face. The incident became a major story when Barovic later appeared in the media with his face bruised, his left eye swollen shut, and a bandage over his nose. In response to the press coverage, Seselj mocked the lawyer, saying that Barovic’s injuries were the result of slipping on a banana peel. 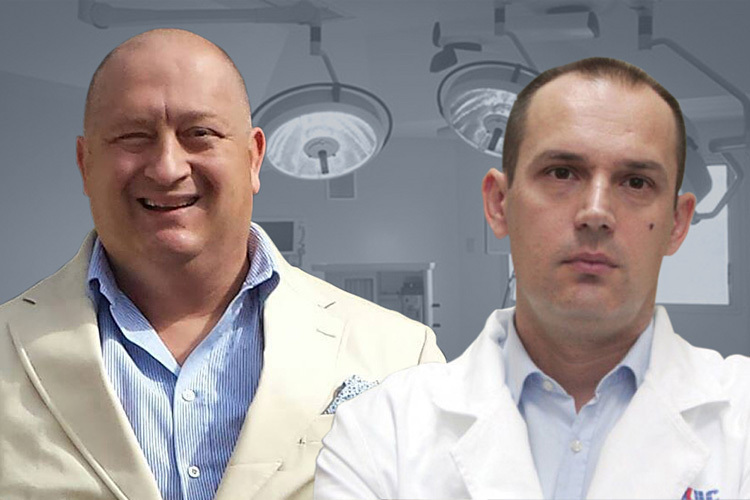 Court records show that four days before a Sept. 24, 2001 hearing on the case, Panic spoke or met with Loncar, who at the time was working in the Clinical Center of Serbia in Belgrade in the emergency department. As a result, Loncar wrote a doctor’s note saying that Panic was still suffering from pain due to earlier surgeries. The two operations had been performed after Panic was shot eight times by a member of the rival Surcin clan in January 2000 — over a year earlier. “Strict rest for the next ten days,” Loncar wrote in the medical report, which reporters found among court documents. The signature on the report appears to match a signature Minister Loncar has used on some official documents. Panic’s lawyer used the note to get the September hearing postponed, with the judge setting a new date in November. Before a subsequent hearing on Dec. 28, 2001, Panic again visited Loncar and got a similar report. This hearing, too, was postponed. Loncar’s name popped up again in court records from 2003, again involving the banana peel case. Five days before a hearing scheduled for Sept. 26, he was again visited by his well-known patient. As was now the custom, he provided Panic a doctor’s note saying that he was still suffering from bullet wounds that were now three and a half years old. Loncar prescribed antibiotics and seven days of rest, and the hearing was postponed. Barovic, the victim of the assault, told reporters that it was obvious that Panic was not really in poor health, but was using the medical reports to avoid hearings. “Meanwhile, Seselj was not appearing in court thanks to his [parliamentary] immunity,” Barovic said. The medical reports may have helped drag out the case, but in the end they didn’t help Panic avoid justice. After over six years, he was finally sentenced to eight months in prison for the attack. This stint in prison was when he lost his eye after being beaten by other inmates. Meanwhile, Seselj was sent to the Hague war crimes tribunal to face more serious crimes before his case was ever finished. Another, parallel case demonstrated the same pattern. 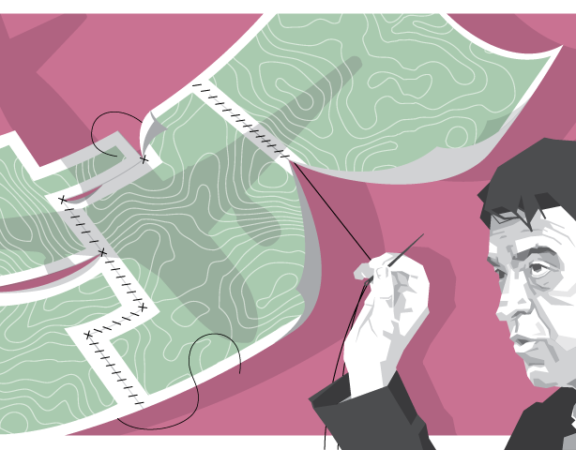 In 1997 — the same year the banana peel case began — Panic began building a newsstand in front of the house of Branko Munjiza, a local man also from Zemun, a suburb of Belgrade. Munjiza contacted local authorities and found that Panic had never obtained a permit for the construction. When Munjiza returned home, he started to refill a hole Panic had dug. Alerted by a friend, Panic came by and hit him on the head with a gun. In this case, he was also charged with assault. In 2000, Panic used one of the same Loncar reports he had used in the banana peel case to postpone a court hearing in this trial as well. Thereafter, he simply stopped appearing in court over the next two years without providing any justification. After Panic failed to appear for any hearings in five years, judge Zoran Tejic finally asked the court to detain him. “He is obviously hiding,” wrote the judge. Afterwards, Panic appeared in court and promised to show up to all subsequent hearings. But it was too late — the statute of limitations would soon expire, and the charges were dropped. The Munjiza case also reveals Panic’s close relationship with the most notorious criminal gang in Belgrade at the time. When Panic assaulted Munjiza, at least five members of the Zemun Clan were at the scene, court records show. Panic’s wife had called them when Munjiza started to fill in the foundation of the newsstand. “Since she couldn’t reach me, she called some of my friends,” Panic told police during an April 1998 interrogation. Among the friends who turned up was Dusan Spasojevic, a Zemun Clan leader. The clan’s members were later called to testify but never appeared in court — another factor that delayed the case. Spasojevic and his associates had more important work to do; the gang was planning the assassination of Serbian prime minister Zoran Djindjic, who was killed by a sniper on March 12, 2003. In the police operation which followed the assassination, Spasojevic was killed by police. The new evidence of connections between Panic and Loncar, and between Panic and the Zemun Clan, is not all that surprising, considering earlier testimony that Loncar had actually carried out a killing on the gang’s behalf. According to the testimonies of two gang members who become protected witnesses, Loncar was hired by Spasojevic to kill Montenegrin criminal Veselin Bozovic, who survived an ambush shooting and was taken to the Clinical Center of Serbia in the late summer of 2002. As OCCRP and KRIK reporters revealed two years ago, Loncar did acquire an apartment from a gang member just 10 days after Bozovic’s alleged murder. A contract obtained by reporters shows that that Loncar obtained the flat from the wife of Sretko Kalinic, a notorious Zemun Clan member. The contract states that Kalinic’s wife was to be paid 1.8 million dinars (€30,800 or US$ 29,900), but there is no way to establish from public records whether the money was ever transferred. About eight months later, Loncar sold the apartment for about €50,000. 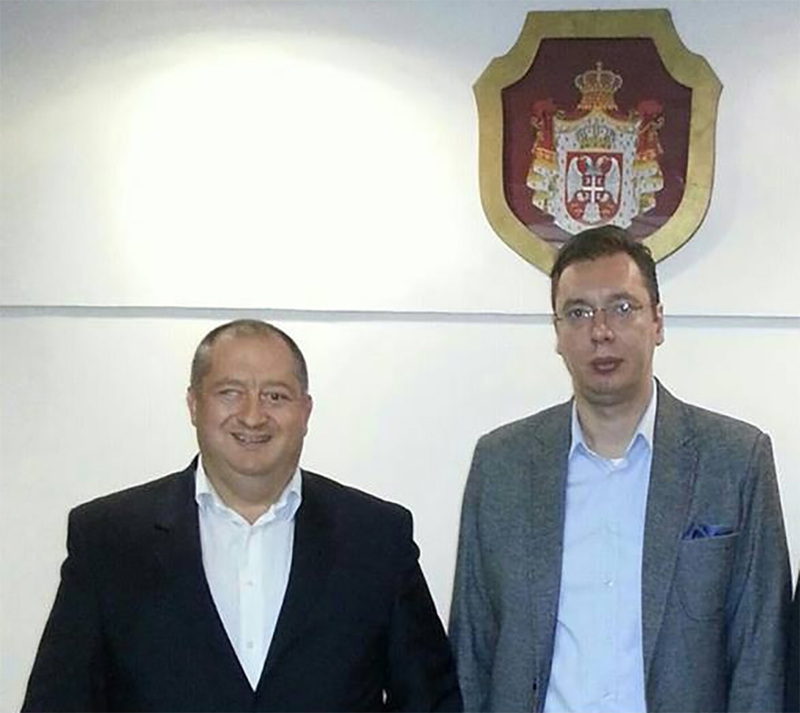 Last January, former minister Velimir Ilic, angry at the ruling party for not being named director of a public company, showed local media a photo of Loncar together with Spasojevic taken in the gang’s headquarters at Silerova Street in Zemun. 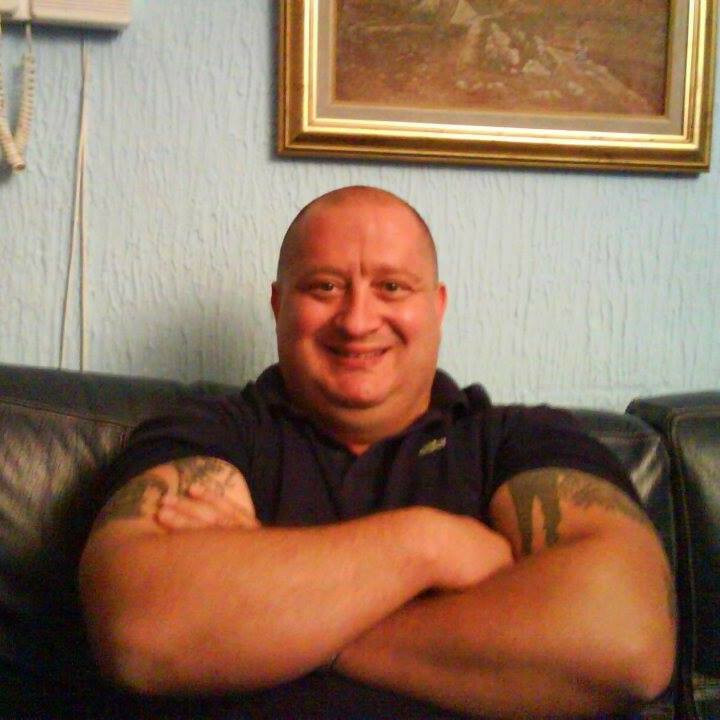 Loncar never clarified his relationship with this notorious drug gang and murder squad. Instead, he labelled KRIK’s reporting an anti-government campaign. Despite all these revelations, there have been no consequences for Loncar, who remains Serbia’s health minister. Aside from Loncar, Panic has other high-level associations. 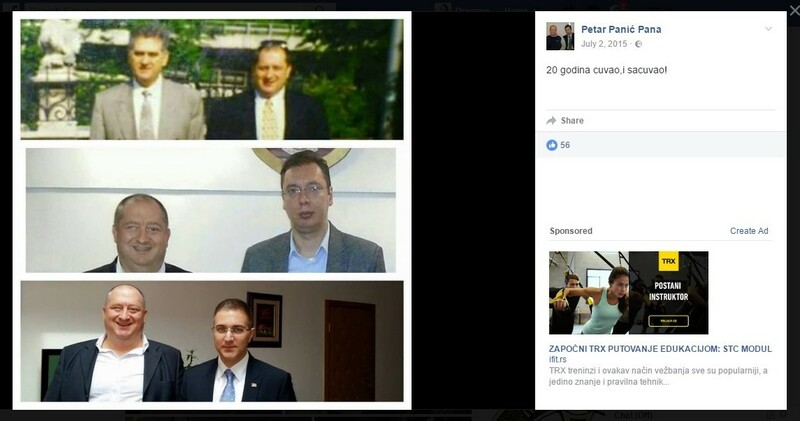 Photos from his Facebook profile suggest that he was friends with many other former members of Seselj’s party and who today run Serbia’s government. Among them are president Aleksandar Vucic, minister of police Nebojsa Stefanovic, former president Tomislav Nikolic, and former member of parliament Dragan Nikolic. All were members of Seselj’s Radical party, but left it in 2008 to join the Serbian Progressive Party, originally a splinter group, which won the 2012 elections and has held onto power ever since. 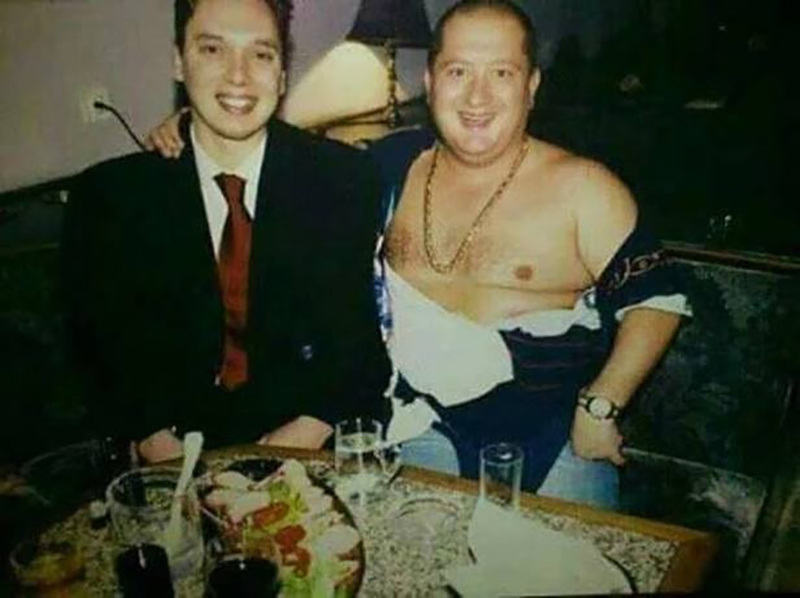 KRIK reporters found nine photos showing a long friendship between Panic and President Vucic. According to one of the captions, they were taken over a 20-year period from 1993 to 2013. 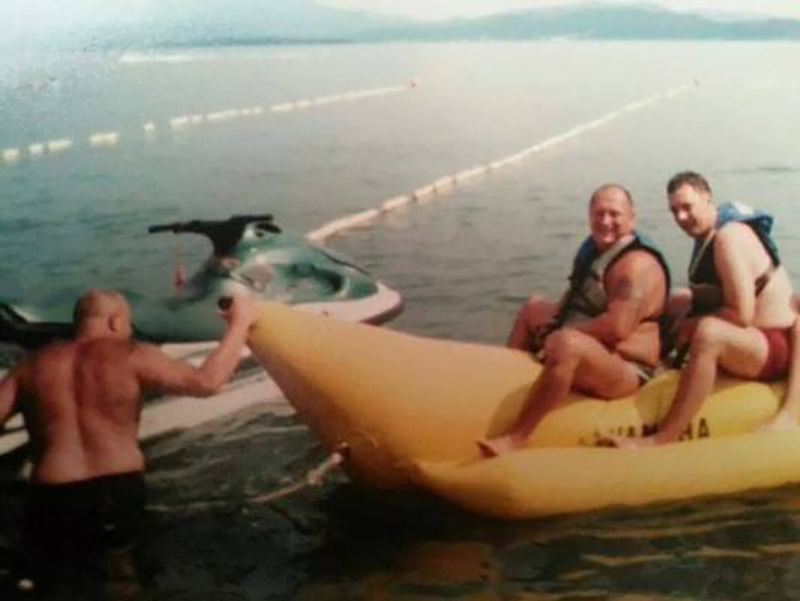 One photo shows a young Vucic hugging Panic, another shows the two men riding together in a banana-shaped rubber boat. Yet another photo shows that Vucic was present at the birth of Panic’s child. Vucic is standing next to Panic, whose shirt is ripped off — an old Serbian tradition in which each guest at the party rips a little piece from the shirt of the new father. One photo indicates that Panic kept up his relationship with Vucic even after the latter came to power. It shows both men formally dressed in front of the Serbian coat of arms. 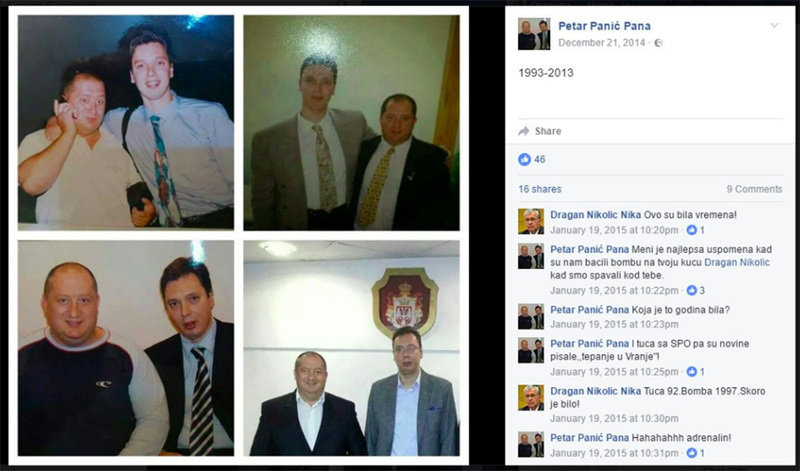 Panic’s caption says the photo was taken in 2013, when Vucic was First Vice President and Minister of Defence. Panic’s criminal past was clearly no obstacle to visiting government buildings. And according to one since-deleted photo, Panic also visited Belgrade’s Old Palace, which houses the city government. They show him attending a meeting between Goran Vesic, the city manager and advisor to the mayor, and a Chinese delegation. Reached by reporters, Vesic had no explanation of Panic’s role, saying that no minutes had been taken at the meeting. When contacted by journalists, President Vucic, Loncar and Panic all declined to comment.